This is not a total eclipse. 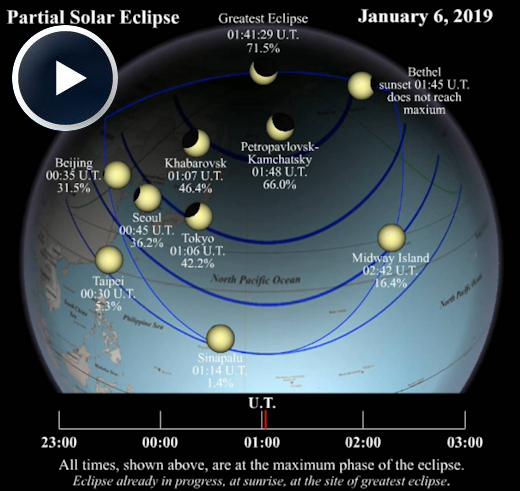 At maximum, the Moon will cover 71% of the sun–a deep crescent that may be seen by the residents of Srednekolymsk, a small town in northern Russia. 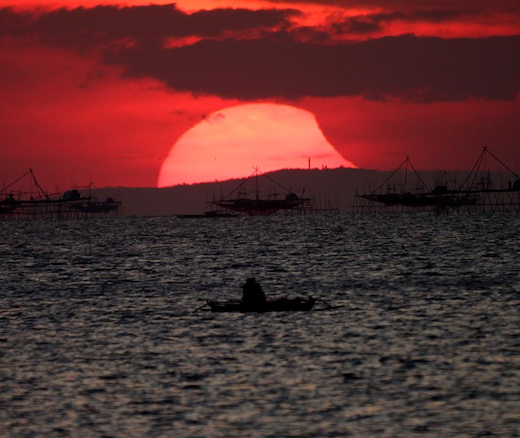 Elsewhere, such as Tokyo, Seoul, and Beijing, less than half of the sun will vanish behind the black lunar disk. The zone of visibility stretches from coastal China to the Aleutian islands of Alaska. 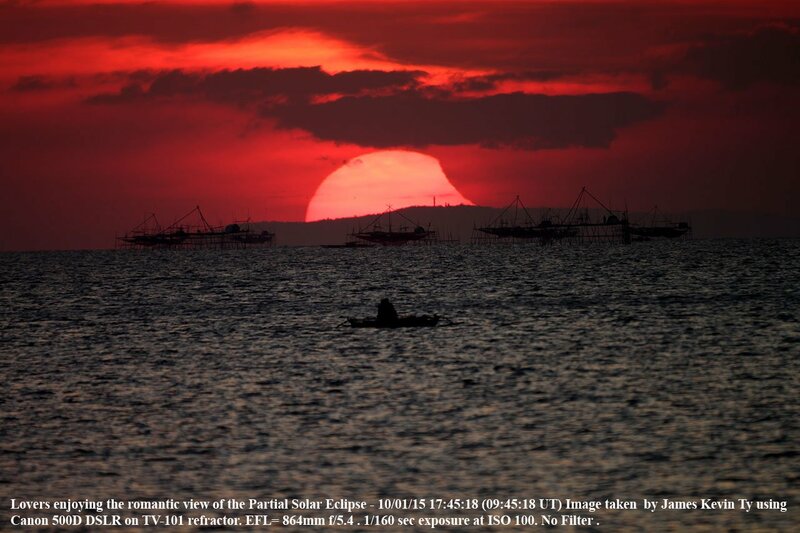 Many people watching the eclipse at sunrise or sunset may be tempted to stare at the relatively dim sun. BE CAREFUL. Even the tiniest sliver of sun left uncovered by the Moon can hurt your eyes. Eclipse glasses are recommended for safety. Observing tip: Try looking down. Beneath a leafy tree, you might be surprised to find hundreds of crescent-shaped sunbeams dappling the grass. Overlapping leaves create natural pinhole cameras, each one casting an image of the crescent-sun onto the ground beneath the canopy. Note the crescent-eyed turkey shown above. Partial eclipse shadow play is safe–and lots of fun. We are actively raising funds for the Solar Balloon Eclipse Network. Scroll down for a list of unique gifts flown to the edge of space. Experience the Great American Solar Eclipse from the edge of space! Help us create the first-ever 360-degree movie of the Moon’s shadow sweeping across the continental U.S. during a total eclipse of the sun. Floating more than 100,000 feet above the clouds, the balloons will have an unobstructed view of the eclipse. Each payload will be equipped with a 360-degree camera. This camera will record not only the sun’s ghostly corona in the sky above, but also the Moon’s dark shadow racing across the landscape below. 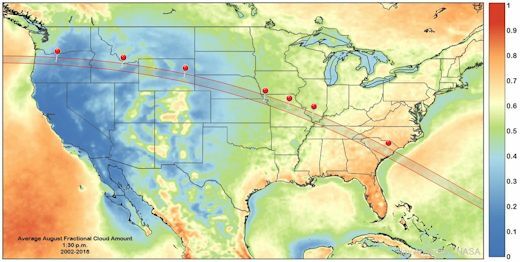 When the eclipse is finished, we will combine the footage to create a unique video portrait of an eclipse sweeping across the American continent. This will be the first time in history a movie of a full eclipse as it moves across the United States is captured from the stratosphere. To test the payload under conditions of totality, a team of students and parents from Earth to Sky Calculus visited Indonesia on March 9, 2016. They were stationed on a beach on the island of Belitung when the Moon’s shadow enveloped them for 3 full minutes. 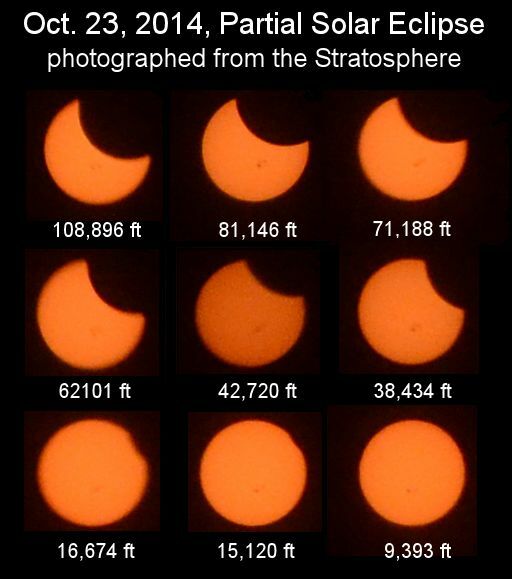 Our spherical eclipse camera and other optics did a great job recording the event. There’s more to our mission than photography, however. We are also going to conduct a unique experiment in atmospheric radiation. What’s happening over the rest of the country? The solar eclipse gives us a chance to find out. 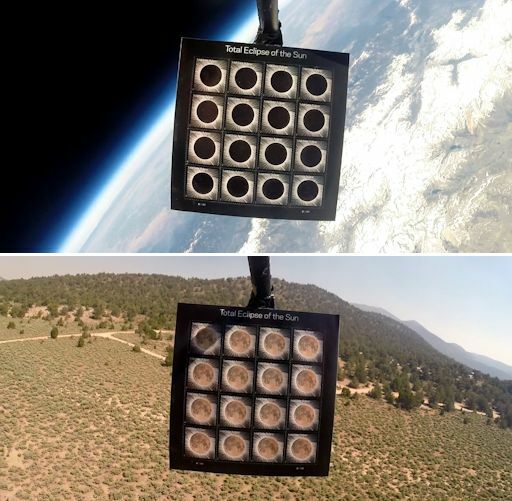 With teams launching balloons and radiation sensors from as many as a dozen sites, we can get a unique snapshot of the cosmic ray environment in the North American atmosphere from ground level to 120,000 feet and from coast to coast. Readers, would you like to join the Solar Eclipse Balloon Network? There are many ways you can help. We still need lots of hardware for our payloads–including more radiation sensors, GPS trackers, and cameras. To fund the cost of the launch sites and balloon payloads, we are selling eclipse-related products on our Earth to Sky website. Purchasing these products will allows us to by the crucial items needed for each launch site and to dispatch teams of students across the country to study the Great American Solar Eclipse from the edge of space. With enough funding we can launch multiple balloons from each site, increasing the footage we can take and the number of people who can participate. A limited number of people can even join us in the path of totality! We are offering a variety of eclipse-related products on our website. 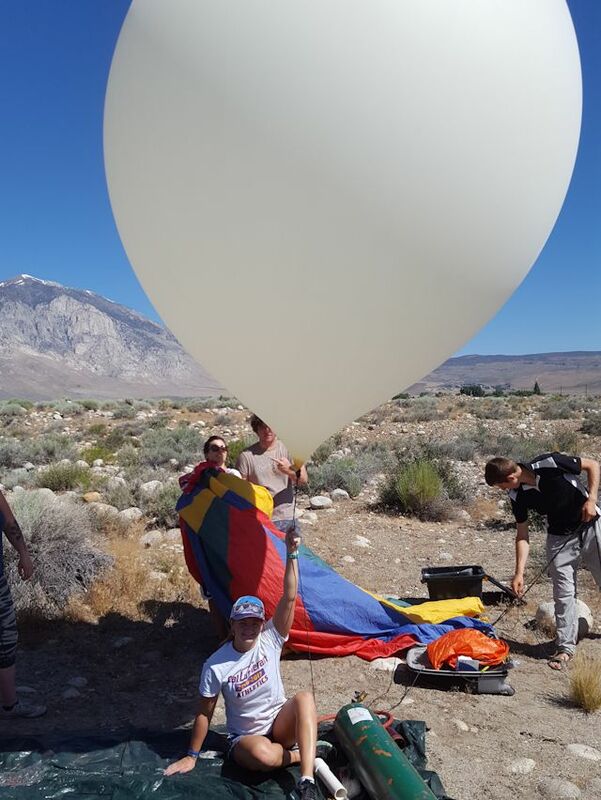 If you are interested in participating directly at a launch site and supporting the Solar Eclipse Balloon Network at a higher level, please visit our GoFundMe campaign. Get ready for the Great American Solar Eclipse! These safe solar glasses will allow you to view any phase of the solar eclipse without fear of damage to your eyes. The Family Pack includes 3 pairs of glasses and costs only $29.95. And there’s a bonus: They have all been to the edge of space! 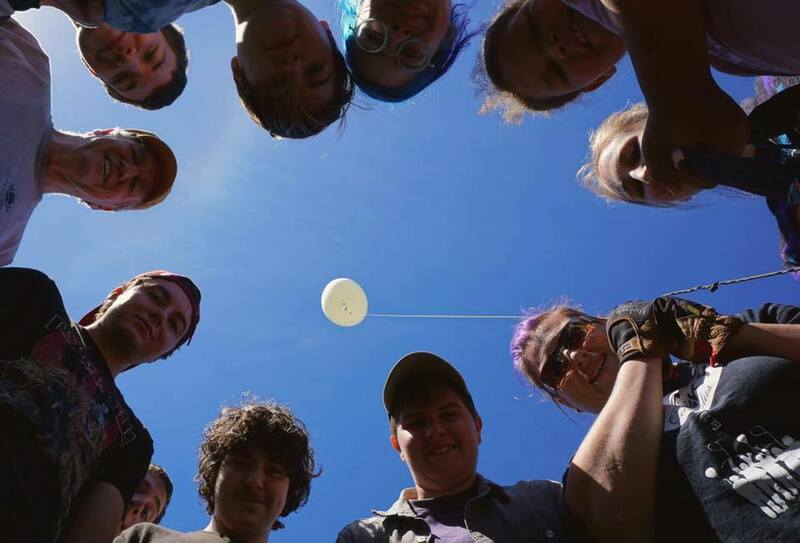 On June 23, 2017, the students of Earth to Sky Calculus flew a payload-full of solar glasses to the stratosphere onboard a high-altitude space weather balloon. The glasses ascended more than 95,000 feet above the Sierra Nevada mountains of central California before parachuting back to Earth. Each Family Pack of solar eclipse glasses comes with a unique gift card showing the glasses floating at the top of Earth’s atmosphere. The interior of the card tells the story of the flight and confirms that these items have been to the edge of space and back again. 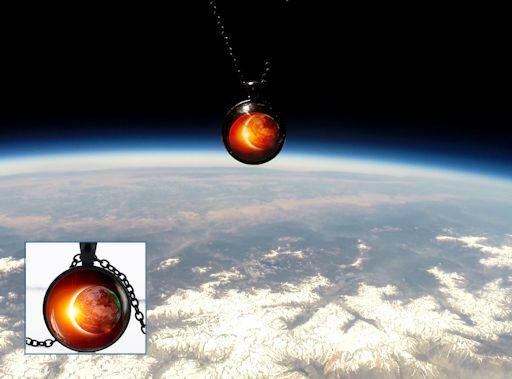 This solar eclipse-themed pendant flew to the stratosphere on July 2, 2017, attached to the payload of a giant space weather balloon. Floating at an altitude 105,000 feet above Earth’s surface, it made contact with space, experiencing temperatures as low as -63 C and a dose rate of cosmic rays 100x Earth normal. Artwork on the pendant commemorates the upcoming Great American Solar Eclipse on Aug. 21, 2017. Each pendant comes with a unique gift card showing the jewelry floating at the top of Earth’s atmosphere. The interior of the card tells the story of the flight and confirms that this gift has been to the edge of space and back again. On June 20, 2017, the US Postal Service issued a first-of-its-kind Total Eclipse of the Sun Forever stamp, which commemorates the August 21 eclipse. 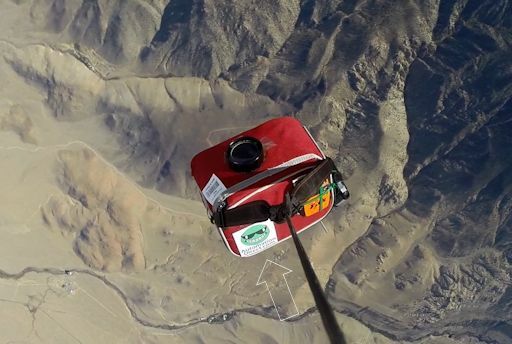 On July 2nd, we flew them to the edge of space 105,000 feet above central California. You can have a sheet of 16 stamps for the collector’s price of $89.95. They make great Birthday and Christmas gifts. These rare temperature-sensitive stamps depict the Moon eclipsing the sun. When the stamp gets cold, the Moon darkens, forming a space-black disk. During our balloon flight on July 2nd, the temperature dropped to -63 C. The Moon darkened in the extreme cold of the stratosphere, then lightened again when the payload parachuted back to Earth, landing on the warm foothills of the Sierra Nevada mountains near Big Pine CA. The recovered stamps are perfectly intact and continue to change their appearance as intended when exposed to heat and cold. The Total Eclipse of the Sun stamp is a Forever stamp, which is always equal in value to the current First-Class Mail 1-ounce price. Each sheet of 16 stamps comes with a unique gift card showing the stamps floating at the top of Earth’s atmosphere. The interior of the card tells the story of the flight and confirms that this gift has been to the edge of space and back again. You will receive the stamps in a black protective envelope that protects the stamps from UV radiation and preserves them for future gift-giving.